Shipping is free for all orders over 40€. If you live in Spain, you'll receive your order within 48 hours. For shipments outside Spain you will receive your order In 4 days. Can I see and buy the Citysens garden in a physical shop? We currently have authorized retail outlets throughout Europe. Here you can check all the shops we collaborate with. I want to place an order for my business. How can I make it? We can take care of your order personally at hola@citysens.com We will give you all the details so that the product suits your needs. I need a replacement for my garden. How can I get it? In our website you will find all the accessories to keep your garden in great condition. In case you don't find what you are looking for, you can write to hola@citysens.com and we'll attend your request personally. How long does my garden has guarantee? If there is a manufacture defect in your garden, we'll exchange it without surcharge for the first 24 months after the purchase. What are changes and return conditions? If for some reason you are not satisfied with your product, you have up to 14 days from the day of delivery to return it. We will manage the return by courier service. The return does not apply to plants. What guarantee do plants have? Our nursery takes care of the plants, from growth to transport. We guarantee the maximum quality. How does a Citysens modular garden work? It is a modular structure, which can be mounted in 3 minutes. You choose the number of pots, orientation and order of plants according to your space. The garden incorporates automatic irrigation with a 30-day autonomy, all you need to do is fill the tank with water and nutrients. What should I do to make my garden work properly? We recommend a monthly cleaning of the plants' dust and structure with a damp cloth. Check the condition of the plants and prune the dry leaves weekly. We recommend dismantling the structure, changing the irrigation water and cleaning the soil and roots that have been embedded in the structure once a year. How much space do I need to have a Citysens garden? The Citysens garden is an ideal solution for indoor spaces. Its height is 85/120/155 cm for 2, 3 and 4 pots respectively; 30 cm wide at the base; 12 cm diameter flowerpot. These measures make it ideal to fit any space of your home or office. What's the amount of water I need to keep it running for 30 days? The garden tank has a capacity of 7 liters and the water recycling design will allow you to keep your plants hydrated for a month. Can I place my Citysens garden outside? We use high quality materials, resistant to water and UV light, so you can enjoy your Citysens garden in any corner, whether indoor or outdoor. At home we have children and pets, the Citysens garden is safe for them? Our design is designed so that all members of the family can live in greener areas. The Citysens Garden is ideal for your children and your pets to enjoy more plants and learn from them. What plants can I plant in the garden? You can place any type of plant. 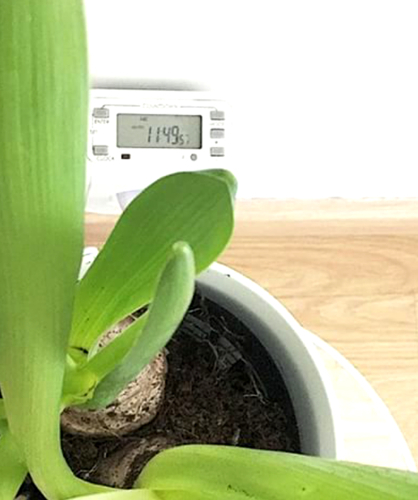 The garden pots are 12 cm in diameter, a standard size for a large number of medium-sized plants. The self-watering system waters all plants at once, so you should choose plants that need the same light and watering. How are the plants watered? The Citysens garden incorporates a recircular automatic irrigation system. A small pump makes the water to rise to the top pot and by gravity irrigate the rest of plants. The pump activates automatically thanks to the use of a timer. The water goes through all the pots alike and the excess water is collected again in the reservoir for the next irrigation. Where do the plants of the Citysens gardens come from? Which plants are the most suitable for my space? Choose your favorite plant family according to your own tastes, take into account the light requirements of each one of them and the place you plan to allocate them. In this web we offer 4 plant families: vital red, air purifiers, placid blue and aromatic. We also offer you the option to customize your garden in case you have a composition of plants in particular that you want to include in your space. I think something happens to my plants or I suspect they have a pest. What can I do? The reasons why a plant does not look good can be many. Send us a photo to hola@citysens.com and we will get back to you in 48h. How can I take care of my plants so that they bloom more often? The most beautiful plants are always those that receive more affection, so we recommend that you keep an eye on the evolution of plants. Why do I need nutrients for my vertical garden? The nutrients in the Citysens garden are a special blend of mineral salts that have been choosen to provide the optimal food to the plants. Our blend has been tested under scientific controls to optimize the growth and life of the plant. What are the active ingredients of Citysens nutrients? The Citysens garden nutrients are a concentrated mixture of mineral salts, free of hormones or other synthetic compounds, specially designed for indoor plant. How do I know the correct amount of nutrients? 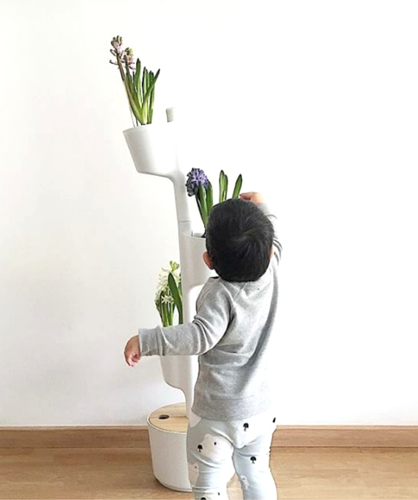 The Citysens kit includes the instructions where the appropriate amount is applied to your plants. Can I add fertilizers or additives other than Citysens? Our nutrients are specially designed for the garden and are made by a specialized company with extensive experience in the field. For all this, we can guarantee the quality of the Citysens nutrients. However, you can use any type of fertilizer of your choice with the Citysens system.